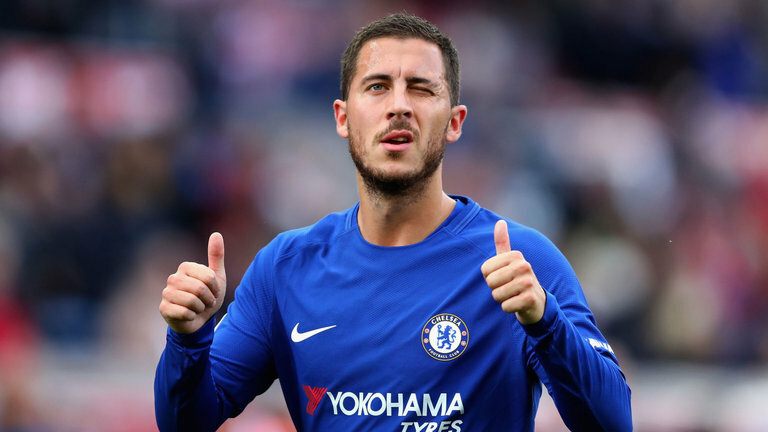 Chelsea signing any of these 3 superstars would provide Sarri with the ideal replacement for Eden Hazard – Agreed? Chelsea are one of England’s biggest football clubs and certainly are a force to reckoned with whenever their massively talented squad turns up. With an illustrious trophy cabinet and a rather colourful past, they have gradually grown into a European superpower. While there are various players within the Chelsea ranks who can be considered world-beaters, if there’s one man who stands out from the others, then that man is the Belgian wizard Eden Hazard who has singlehandedly won Chelsea a lot of football matches. Signed from Ligue 1 side Lille in the summer of 2012, he joined the Blues on the back of a special season in France but his impact in this Chelsea team was instant and it took him no time to nail down a starting role while also turning into a fan-favourite with top quality play. 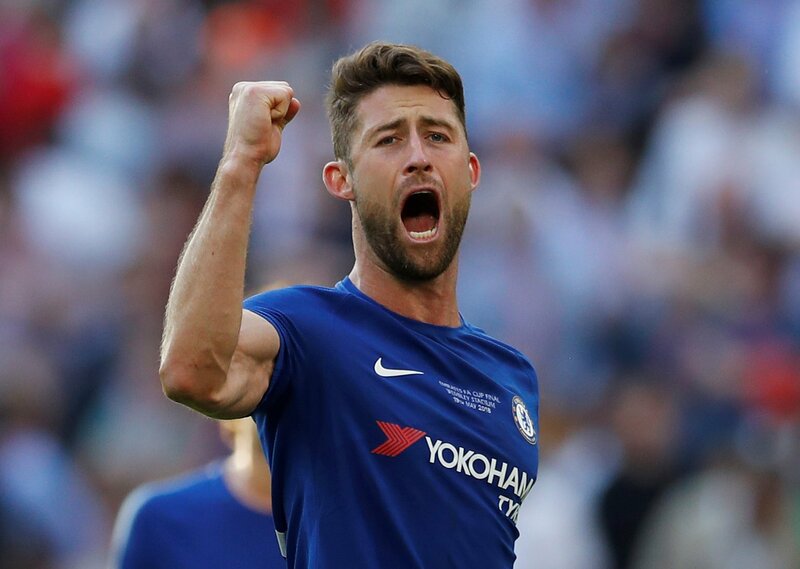 The Belgian skipper has won 2 Premier League titles during his time in England while he also managed to win the prestigious Europa League in his first season at Stamford Bridge. Now an unassailable member of this team, his contributions are unmatched and he is adored by the Blues’ faithful. With a report from the Metro indicating that Hazard has expressed uncertainty about his future at the club amid interest from Real Madrid, Chelsea should start looking for his replacement now and try and get a deal done at the earliest possible opportunity. 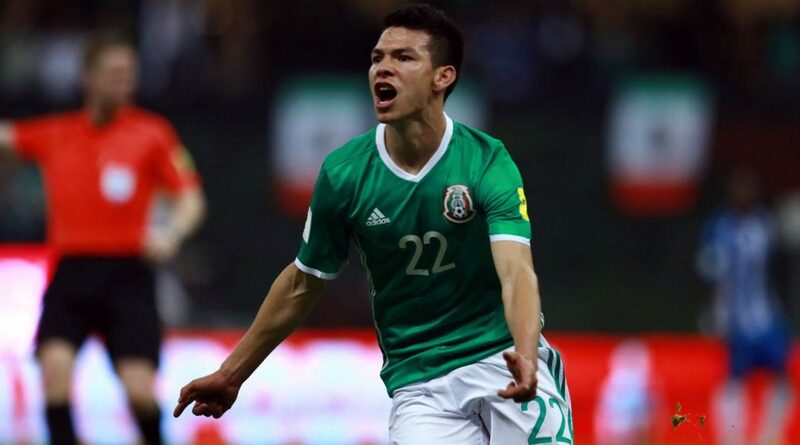 This 23-year-old Mexican international winger has all the perfect attributes to be a direct replacement for the magical Belgian as he boasts a similar low centre of gravity and is also capable of identical mazy dribbles into opposition territory. 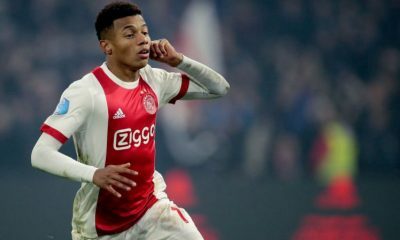 With 15 goals and 8 assists to his name from 24 Eredivisie appearances this term for PSV Eindhoven, the speedster has really shown himself in a good light and the fact that his skill-set is quite a lot like Hazard’s will come as an added boost as well. Possibly the most convenient deal that the Blues could pull off, they could utilise Real Madrid’s purchase of Eden Hazard to bring this talented Spanish prodigy to English capital as he certainly has a massive future ahead of him. 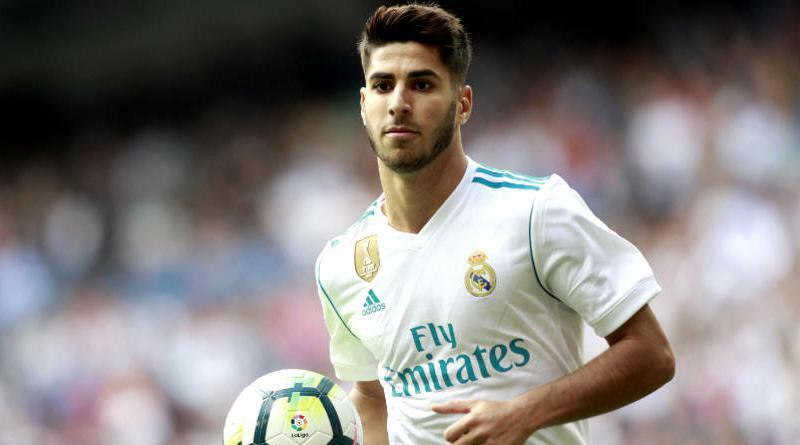 Still only 23, the Spanish international has scored 1 and assisted 4 in 22 league games this season and while his quality is unquestionable, his lack of regular game-time is down to the competition for places at a club as monstrous as Los Blancos and that’s why a move to Chelsea makes sense for the youngster. Another young prodigy, the 21-year-old has been touted for massive things given the quality of football he is producing at such a young age. He has scored 3 goals and assisted a further 6 from his 18 Serie A appearances for AS Roma this season while he got 3 goals and 2 assists from their 6 Champions League group games. 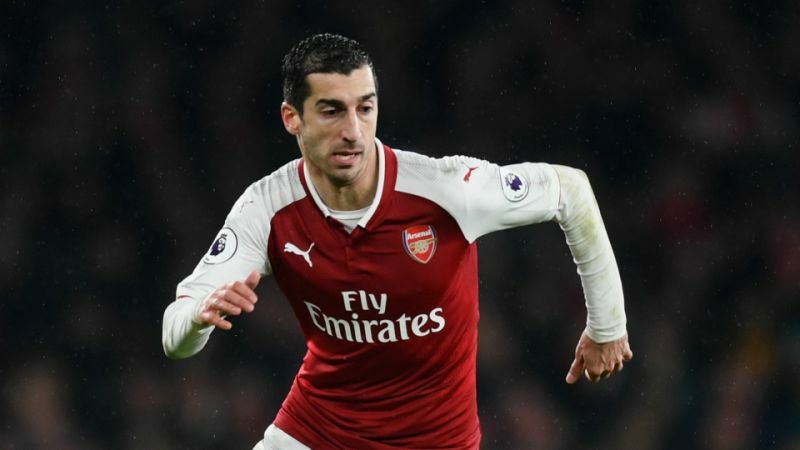 Capable of amazing skill and trickery, he show the right amount to potential to be a future star and the English game could be perfect for this Turkish international. 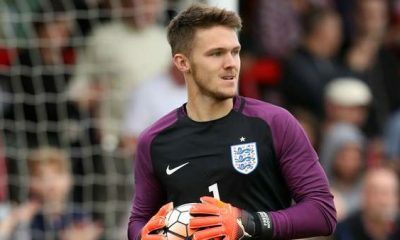 Originally a right-winger, he is capable of playing anywhere across the front-line making him versatile and a good option for the Blues to consider. 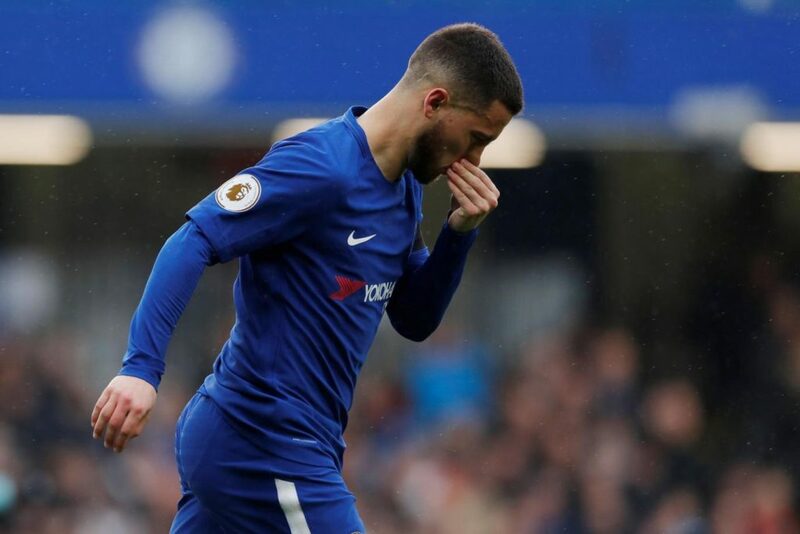 According to a recent report by British news outlet the Mirror, Chelsea are said to have their minds set on the man they want to bring in to replace Real Madrid-bound Eden Hazard. 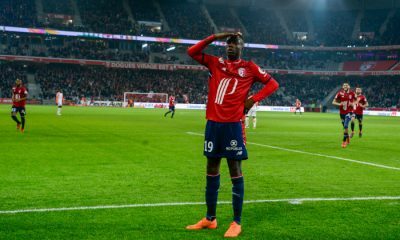 The Blues are said to be targeting boyhood Chelsea fan Nicolas Pepe from Lille as they look towards a future without Eden Hazard to leave them from the front. 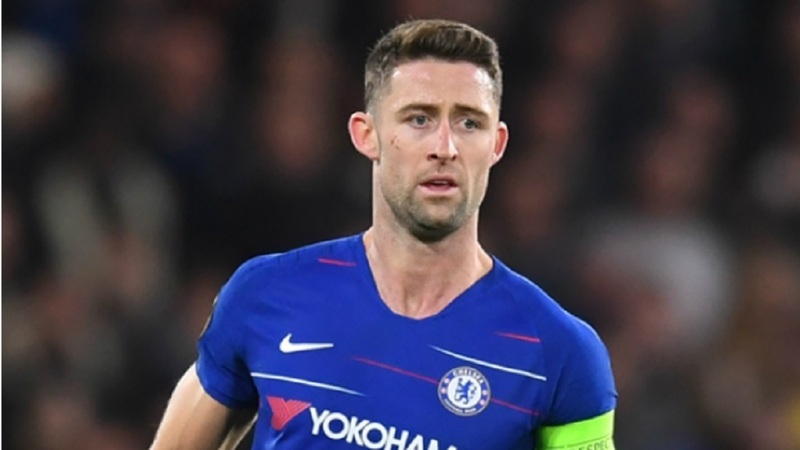 It is suggested that the winger would cost the Blues around £70m to bring to Stamford Bridge but with the Belgian’s move to Real Madrid being touted to be a big-money switch, Chelsea shouldn’t have too much trouble in reinvesting their finances in another player. Chelsea signed Eden Hazard from the same team that Nicolas Pepe currently plays for – LOSC Lille. The deal cost the Blues a bargain £32m all the way back in 2012 – a price that would be a complete joke for a player as talented as the Belgian is in today’s footballing market. Since making the huge step from the Ligue 1 up to the Premier League, Hazard’s improvement as a player has been meteoric. His pace and dribbling skills are unmatched and he has certainly developed into one of Europe’s highest-rated players. His influence on this Chelsea side can’t even be quantified as without his unbelievable exploits on a weekly basis, Chelsea wouldn’t be anywhere close to the top of the table, let alone actually fighting for the title in itself. He took no time settling with the football in England and was an instant hit at Stamford Bridge. 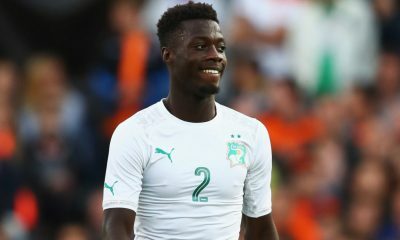 Considering that the magnitude of his sheer quality was unknown at the time, the improvement he showed since making the switch is bound to fill Chelsea fans with tons of confidence that if they do go on to sign Nicolas Pepe in the summer, the Ivorian will produce the goods in the royal blue kit. While the Lille link is obviously going to play a fairly important part if this transfer is to go through, Chelsea’s desperation to make as many signings as possible will also come into the picture. With a potential transfer ban looming and Eden Hazard’s departure looking more and more likely everyday, its about time Chelsea look for direct replacements. 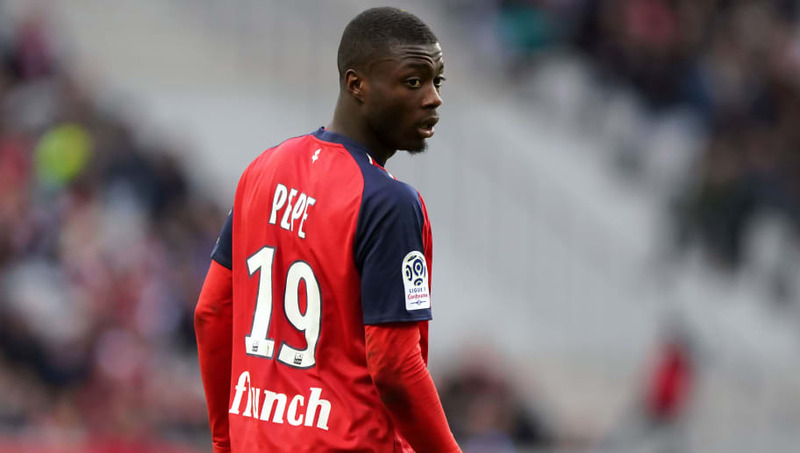 Nicolas Pepe has all the right attributes to come in and do a job for the Blues as his pace and dribbling abilities will suit Maurizio Sarri’s style of play. Young and still able to put in amazing amounts of work, he seems like the kind of player who would prosper in a setup as attacking as Chelsea’s. His movement down the flanks are bound to cause the Premier League wing-backs troubles as his blistering pace is often too much to handle. His finishing has also turned into one of his strengths as he has proven to the fans through the course of the current Ligue 1 season. The 23-year-old has scored a whopping 19 goals and notched up a further 13 assists from his 32 league appearances. These numbers are the sign of a top quality player who is now ready to perform at the highest level and that’s why he can be Chelsea’s best option to replace Eden Hazard with. 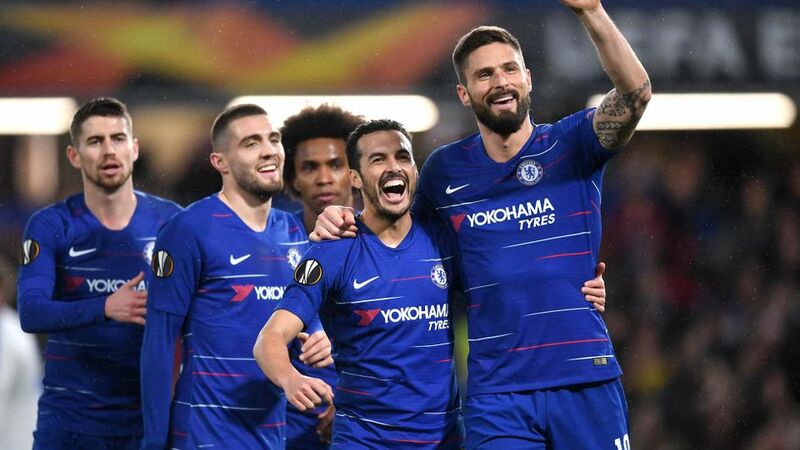 Chelsea progressed to the semi-finals of the UEFA Europa League with a nervous 4-3 victory over Czech outfit Slavia Prague at Stamford Bridge in the second leg on Thursday night, thanks to a brace from Pedro. 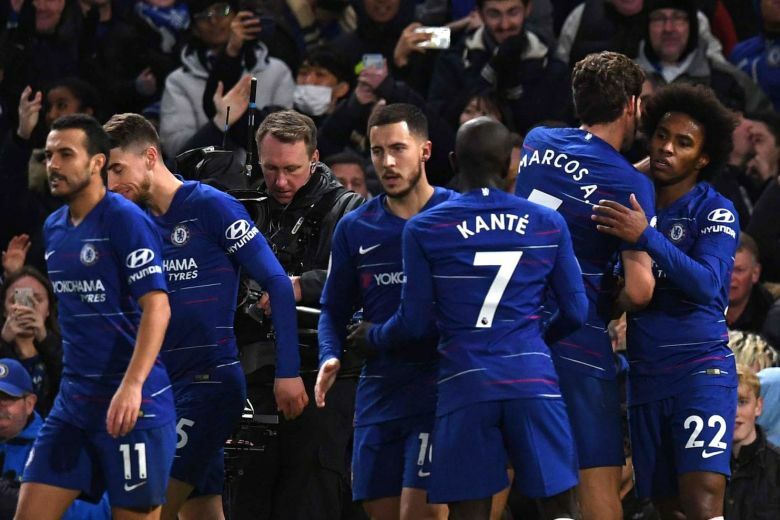 The Blues played poorly in the first leg away from home but Marco Alonso’s late winner ensured that Maurizio Sarri’s team carried a slender advantage into the home fixture at Stamford Bridge. The fans would have expected Chelsea to make easy work of Slavia at home and it looked as if the Blues were in for an absolute cakewalk when they scored thrice within the opening 17 minutes. In the opening stages of the first half, a rampant Chelsea side spearheaded by the trip of Giroud, Hazard and Pedro looked a class above their mediocre opposition but things took a complete turnaround in the second half. After a dominant first-half display, Chelsea seemed to lose control over the proceedings in the second half. In fact, the goal that they conceded in the first half was entirely down to some poor marking from a set-piece situation. 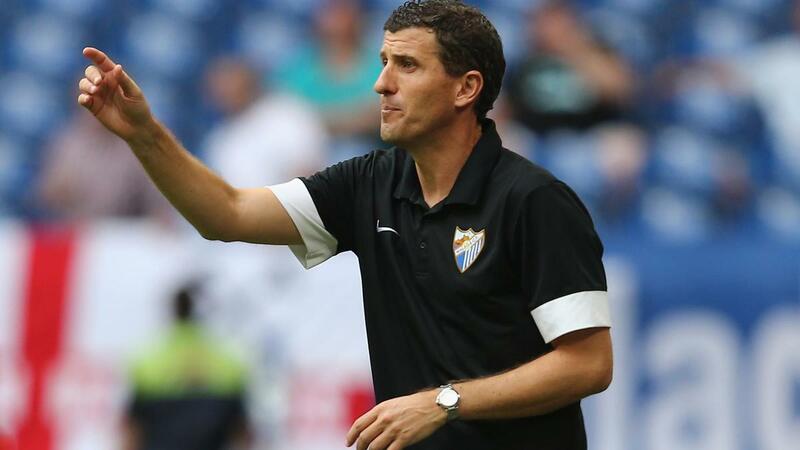 It was humiliating to witness the level of ease with which Tomas Soucek headed the ball in from the corner, as Emerson made himself look like he was marking some invisible figure at the post. Petr Sevcik’s brace in a space of 3 minutes early in the second half ignited Slavia’s hopes of staging a remarkable comeback away from home. 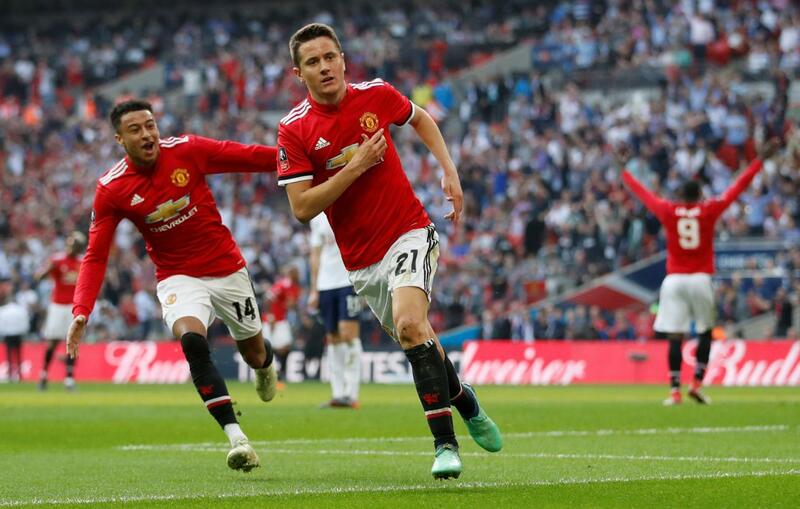 Both the goals came from shots outside the box, as the Chelsea defence didn’t put any sort of pressure on the ball and were too lazy to close down the spaces. Kovacic turned his back to the ball and Kepa got too easily done at his near post for the first one, while the second one was an absolutely stunning strike which gave the goalkeeper no chance, though the defence was at fault for allowing too much room. Well, it wasn’t the strongest defensive performance from Chelsea and it might be a worrying sign for Sarri heading into the final few weeks of the season. However, the manager has every reason to be pleased with the performances of Olivier Giroud and Pedro up front on a night where Eden Hazard was pretty average. Slavia kept Hazard at bay with some crunching challenges and the Belgian didn’t really have a massive impact on the game. It was a perfect start to the night for Chelsea, with Pedro, Azpilicueta and Giroud showcasing some brilliant one-touch football in a slick move from the right that was finished off in style by the Spaniard. 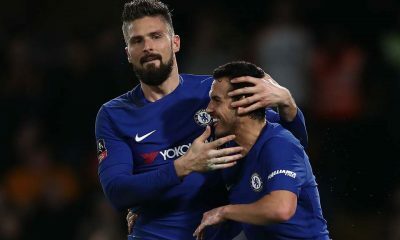 Giroud claimed the assist for Pedro’s opener, though it was the Spaniard’s subtle movement off the ball that paved the way for a move that was typical of Sarri Ball. Giroud showed some tremendous hold-up play for the second one, setting Hazard free on the right, who crossed it in for Pedro to finish but the Spaniard hit the post from point-blank range. It went down as an own goal but both Pedro and Giroud were heavily involved in the move. The Spaniard bagged the assist for the third goal. Pedro timed his run to perfection, beat the offside trap to latch on to a brilliant through ball from N’Golo Kante and showed some good decision-making to set up Giroud for a simple tap-in. The fourth goal was also a result of some wonderful build-up play down the left which all began with Giroud’s smart hold-up play. Emerson whipped in a perfect ball from the left, and though Giroud scuffed his finish, Pedro showed good reactions to turn the ball in at the far post. 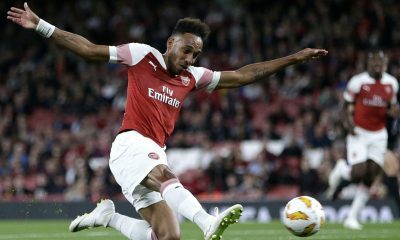 Pedro bagged two goals and an assist while Giroud hit double figures in the Europa League on Thursday night, capping off a wonderful performance with a goal and an assist. 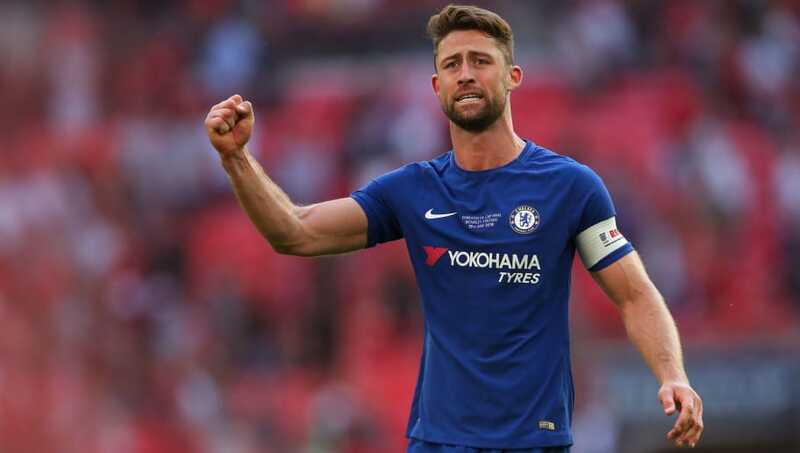 Undoubtedly, Chelsea looked like a lot more complete side in the attacking third with Giroud’s physical presence up front, though they played the second half at a rather testimonial pace. In other words, Giroud did everything that Gonzalo Higuain has failed to do since his arrival in January. Giroud registered 3 shots, 5 aerial duels and 1 key pass on the night while Pedro had a pass success rate of 77.8, including 3 shots, 1 key pass and 2 successful long balls. 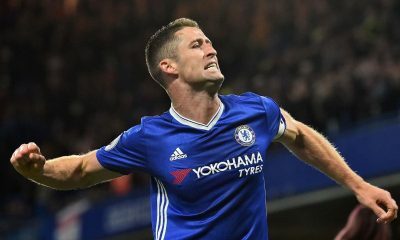 Chelsea are set to face Eintracht Frankfurt in the semi-finals of the Europa League and Sarri should continue to rely on the in-form duo to fire the Blues into the finals.